Here is a horoscope of the moment on December 19, 2017 that transit Saturn enters its own sign of Capricorn, a significant cosmic event. 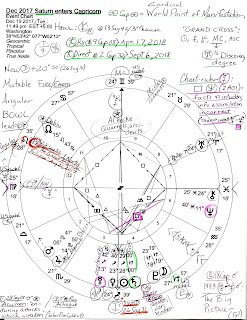 The horoscope is set for Washington DC with 25Vir18 rising which elects communicator Mercury as chart-ruler, though retrograde (signifying more delay). 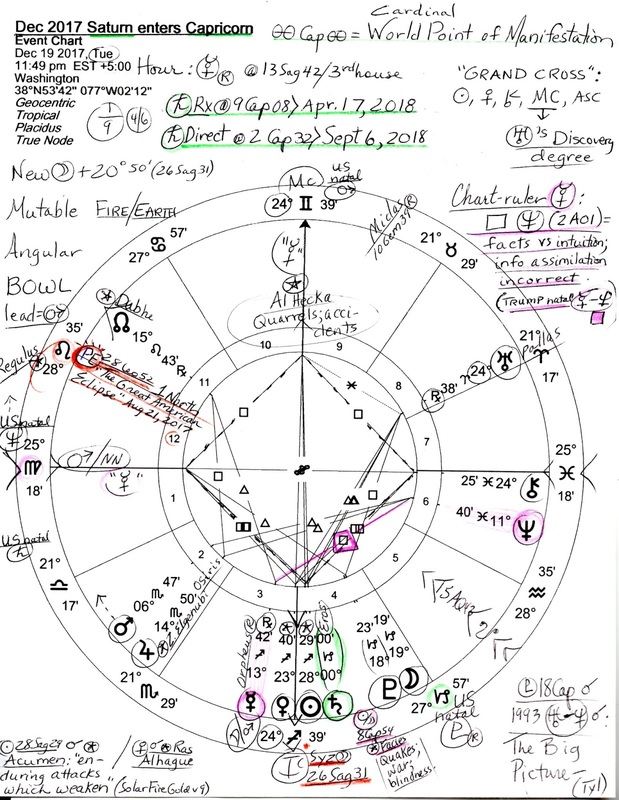 Mercury in 3rd house as chart-ruler (and MC ruler) applies to one Ptolemaic aspect, a square to nebulous Neptune @11Pis40 in 6th house (see chart), and conjoins America's natal Ascendant for those who use July 4, 1776 in the late afternoon to set up a US natal horoscope. Naturally, we are reminded of Mr. Trump's natal Mercury-Neptune square of misperception, indiscretion, falsehood, and wild promotions, or as astrologer Alan Oken terms the aspect, "The Sneaky Mind." Please enlarge the image since my notes are penned upon the chart including Saturn's upcoming Retrograde Station @9Cap08 on April 17, 2018 and Saturn's Direct Station @2Cap32 on September 6, 2018. As you see, the karmic planet of limitation, delay, accountability, and old age does not leave the labyrinth that is Capricorn once the old man enters the door and crosses the Saturnian threshold where he'll eventually meet and greet transit Pluto @22Cap46 on January 12, 2020 and US natal Pluto (27Cap33), a time when disappointment over the past surges, and there's potential for loss of control over situations and events that are simply too big to handle. Transit Saturn ends year 2018 @11Cap15 and will eventually enter Aquarius (a sign Saturn traditionally rules) on or about March 23, 2020. 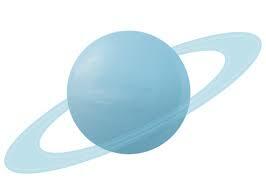 Saturn in Aquarius suggests ambitious plans without a solid foundation though there may be a wealth of social aspirations. And on a rather curious note, conjunct the 12th cusp of Politics, Karma, Self-Undoing, and Large Institutions such as hospitals and prisons, is 28Leo35 which recalls (Mercury Rx) The Great American Eclipse of August 21, 2017 which hit Mr. Trump's natal Ascendant. You'll remember the series' (1 North) themes include: information is distorted and possibly false and unexpected events loom large and put great pressure on relationships (Brady). How much more these potentials can apply to Mr. Trump, his family, and his White House I cannot imagine. See what karmic Saturn is reaping in the DC Horoscope of Winter Solstice 2017.